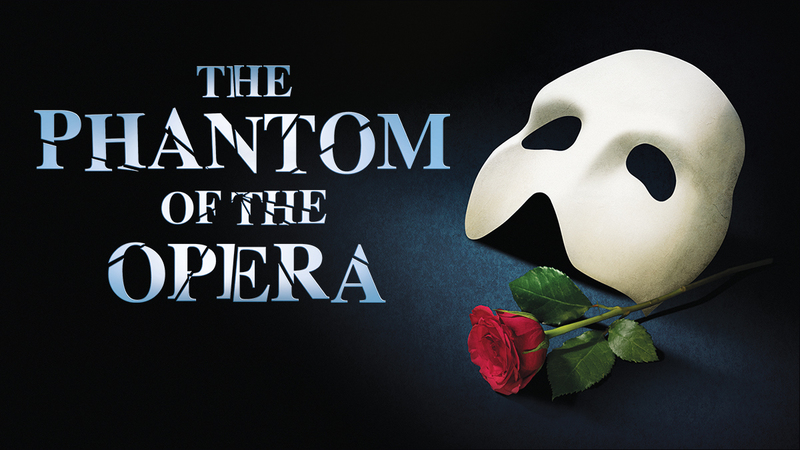 Purchase tickets to The Phantom of the Opera online, at the theatre box office, or by calling 212-239-6200. 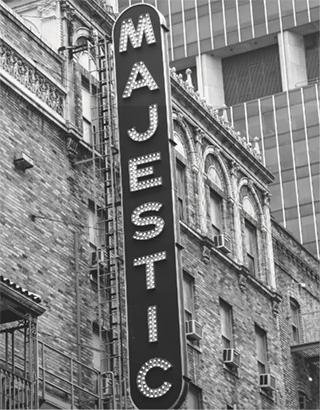 The Majestic Theatre was originally built in 1927 by real-estate magnates the Chanin Brothers as part of a three-theatre complex that also included the Royale (a midsize house) and the Theatre Masque, now the John Golden (a small house). The Majestic, a large musical house, complemented the other two venues, enabling producers to move shows based on their ticket sales to the most appropriately-sized venue. In 1930, the Chanins transferred ownership of all three houses to the Shuberts. 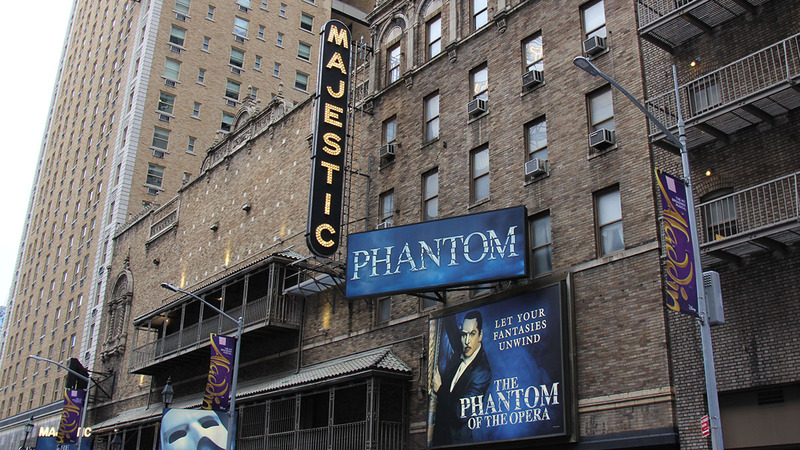 The Phantom of the Opera, the longest-running Broadway show, is currently playing at the Majestic Theatre. The Majestic Theatre has 1,681 seats and is one of the Shubert Organization‘s 17 Broadway theatres. Ticket sales are nonrefundable. If you have completed your order, entered your purchase information, and had the order confirmed, you may not cancel the order or return your tickets. There is no dress code at the theatre. Formal attire is not required. For all performances, attire should be comfortable and appropriate for the occasion. The Phantom of the Opera states that there are a few design elements and special effects that may frighten young children. This show is recommended for ages 5 and older. Children under the age of 4 will not be permitted in the theatre. Latecomers will be seated at the discretion of management. A wheelchair-accessible restroom is located on the main level. Additional restrooms are located down two flights of steps in the lower lounge (19 steps) or upstairs one flight of steps (42 steps). There is cloakroom service available at this theatre. No strollers or furs. The theatre is not completely wheelchair accessible. There are no steps into the theatre from the sidewalk. Please be advised that where there are steps either into or within the theatre, we are unable to provide assistance. There is one (unisex) wheelchair-accessible restroom located on the main level. Orchestra location: There are steps to the Orchestra beginning with row I. There are no steps to the designated wheelchair seating location. There are no steps to rows AA through H.
Mezzanine location: Located on the second level, up three flights (51 steps). On the Mezzanine level, there are approximately two steps up and down per row. Entrance to the Mezzanine is behind row G of the front Mezzanine. Handrails: Available at every stepped row, except in the Mezzanine and Rear Orchestra, where handrails are only available on the far-side aisles. Reservations are not necessary. A driver’s license or ID with printed address is required as a deposit. Please e-mail [email protected] or call: 212-582-7678 to reserve in advance. The Majestic Theatre provides at least 10 infrared assisted-listening devices for every performance at the theatre. Beginning four weeks after a show’s official opening-night performance, at least 10 audio description devices are available for every performance at the theatre. In addition, there is unlimited access to downloadable audio description software for personal mobile devices, available beginning four weeks after a show’s official opening-night performance, which provides an automated detailed account of the visual of the production, free of charge, for blind or partially sighted patrons. The theatre also offers handheld devices and software that provide captioning for deaf or hard-of-hearing patrons, available beginning four weeks after a show’s official opening-night performance. Additional devices can be available with at least 24 hours’ notice by contacting Shubert Audience Services at 212-944-3700 or [email protected]. There is also a representative at the Shubert Audience Services kiosk at every performance to assist any patron with the audio description devices, software, or captioning devices. The Phantom of the Opera provides real-time translations on your mobile device. Language subtitles are available in Spanish, Japanese, and simplified Chinese. For more information, visit the Shubert Audience Services kiosk inside the theatre. The Majestic, currently owned by the Shubert Organization and one of the largest houses on Broadway, was designed by Herbert J. Krapp and opened March 28, 1927. Jeff Keller, Ted Keegan, Brad Little, Gary Mauer, and Laird Mackintosh. McGillin holds the record for playing the title role on Broadway, with more than 2,500 performances. Other fun facts: There are 111 wigs, 230 costumes, 281 candles, 150 trap doors, 15 mannequins, 10 candelabras, and 1 life-size elephant in the show; 32 wireless mics are used at each performance; it takes 90 minutes for the actor playing the Phantom to get into costume and makeup (over the years, that makeup has required more than 112,000 cosmetic wedges). Previous tenants include 42nd Street, directed by Gower Champion; a revival of Brigadoon; Richard Rodgers’s final musical, I Remember Mama, starring Liv Ullmann; and Ballroom, starring Dorothy Loudon. The 1970s saw Sugar, starring Robert Morse and Tony Roberts; Mack and Mabel, with Bernadette Peters starring opposite Robert Preston; The Wiz; a Tony-winning Liza Minnelli in The Act; and a musical version of The Teahouse of the August Moon titled Lovely Ladies, Kind Gentlemen. The 1960s began with Camelot starring Richard Burton (who won a Tony), Julie Andrews, and Robert Goulet. Other productions of this decade were a revival of The School for Scandal with John Gielgud and Ralph Richardson; Judy Holliday in her final Broadway outing, Hot Spot; Mary Martin in the musical Jennie, said to be partly based on the life of actress Laurette Taylor; Anyone Can Whistle, with Lee Remick and Angela Lansbury; and Golden Boy, starring Sammy Davis Jr. Funny Girl transferred here from the Winter Garden and Fiddler on the Roof from the Imperial. The 1950s saw Rodgers and Hammerstein’s Me and Juliet; By the Beautiful Sea with Shirley Booth; Fanny starring Ezio Pinza, Florence Henderson, and Walter Slezak; and The Music Man starring Robert Preston. And two of the biggest hits of the ’40s played here: Carousel and South Pacific. Used with permission by Playbill, Inc. Playbill is registered trademark.